Immediate changes should be made to put in place better out-of-hours mental health provision in prisons, it has been claimed by campaigners. They include Linda Allan, whose daughter Katie took her own life in Polmont Young Offenders Institution last year. The call came after a Freedom of Information revealed the lack of mental health specialists available on site overnight and at weekends in prisons across Scotland. Campaigners point out these are the hours are when many prisoners are most vulnerable, with a significant percentage of suicides happening overnight. While welcoming the appointment of leading psychiatrist Dr Helen Smith to oversee an independent review of mental health support provision at Polmont Young Offenders institute, announced by Cabinet Justice Secretary Humza Yousaf on Friday, they said changes were needed in all prisons. Data received from NHS health boards, who took over responsibility from the Scottish Prison Service (SPS) for health care in 2011, showed the majority only had mental health nurses on call over-night, with skeleton mental health staff at weekends. In prisons in Glasgow – including Barlinnie, Greenock and Loss Moss – mental health nursing staff, employed by NHS Greater Glasgow and Clyde, finish shifts by 5pm with weekend and out-of-hours cover provided by a doctor based in police custody healthcare. Similar arrangements are in place in Edinburgh and Addiewell prisons, where healthcare is provided by NHS Lothian NHS. In Polmont Young Offenders Institute and Cornton Vale, where 89 women are held, shifts – overseen by NHS Forth Valley run until 9.30pm. At Cornton Vale two mental health nurses do day shifts at weekend on average. However at Polmont, where there are 98 women as well as more than 200 male young offenders, only one is guaranteed. At the privately-run Kilmarnock prison, shifts run until 9.30pm during the week and 8pm at weekends but overnight provision was removed in 2016. Since 2017 there has been at least one mental health nurse on duty during day, night and weekend shifts in Perth Prison. Many claim greater number of specialists are needed due to high levels of mental illness among the prison population. Tens of suicides have been recorded in the last five years, with many families still waiting the outcome of Fatal Accident Inquiries. Linda Allan’s daughter Katie was found dead in her cell on Monday 4 June last year, having last been checked on at lock-up the night before. “Katie’s death certificate states ‘life extinct’ on the 4th, but no one bothered to ascertain the time of death,” Allan, who has both a nursing and academic background, said. She claims she has “no words” to describe what she has found while researching the issue. In 2016 a Royal College of Nursing review of the transfer of healthcare to the NHS highlighted serious concerns. Three years on, these have not been addressed. Lawyer Aamer Anwar, who is representing both the Allan family and the mother of William Lindsay, who took his life, aged just 16, while locked in his cell at the weekend, agreed immediate action was needed. Anwar said: “Overnight and at the weekends there is at best a skeleton staff. The reality is that this comes down to a question of money, it’s a way of reducing costs. This is a shocking place for the prison service to be in. Deborah Coles, director of Inquest – a charity in England and Wales providing expertise on state related deaths – added: “Clearly night time and weekends can be a time of heightened vulnerability for those suffering mental ill health and at risk of self-harm and suicide and so it is very concerning to see such limited cover. 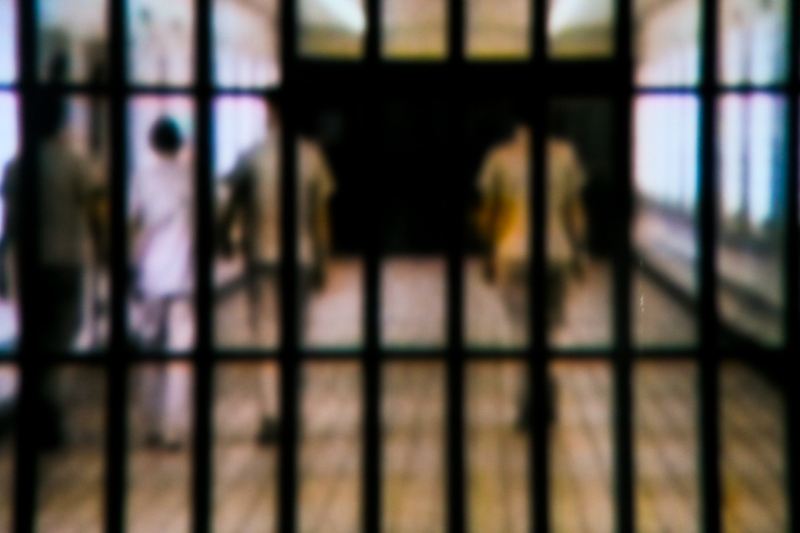 Scottish Greens also raised concerns about the lack of action taken since the May 2017 the Health Committee published its report on Healthcare in Prisons, recommending improvements. Nancy Loucks, director of charities Families Outside said it was important that family members were reassured about the safety of their loved ones serving prison sentences but warned against “finger pointing”. Other experts said that it was essential to create a more supportive atmosphere in prisons, with more staff – who often witness traumatic events – given expert training and support to deal with prisons with mental health problems. Reform Scotland has repeatedly called for monitored phone lines to be put into cells, which could be used to call family members or the Samaritans at times of crisis. Tom Fox, of the Scottish Prison Service, confirmed that it was in discussions with NHS Forth Valley about levels of mental health provision. “I think our staff do a remarkable job but the conditions can be very challenging,” he added, claiming that levels of mental health problems among prisoners, particularly women, were “scarily high”. NHS health boards insisted appropriate levels of mental health provision were in place. An NHS Forth Valley spokeswoman said there were often more than minimum numbers of mental health nurses on shift in evenings and at weekends, supported by nurses, assistants and prison officers with experience of supporting patients with mental illness. Both NHS Lothian and Glasgow City Health and Social Care Partnership insisted that operating hours were the same as those in the community, with the same access to out-of-hours services as the rest of the city’s patients would have. A version of this story first appeared in the Sunday National on 20 January 2019.